Patrick A. Calhoon focuses on the recovery of insurance benefits and extra-contractual damages on behalf of individual and commercial policyholders. He has also successfully represented individuals in recovering wrongfully withheld benefits under the Employee Retirement Income Security Act (ERISA). In addition to insurance related matters, his practice includes the prosecution of matters arising from physical elder neglect and abuse, financial elder abuse, and personal injury. 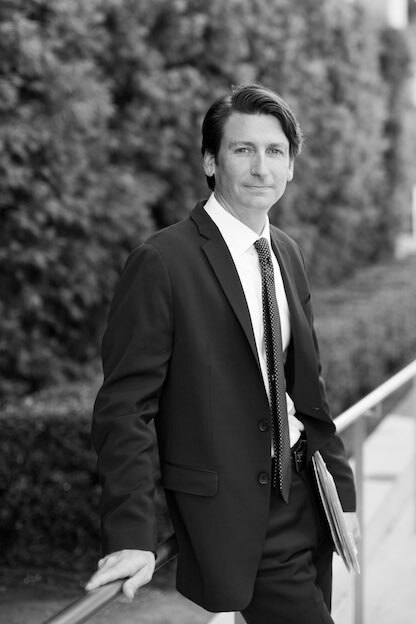 Mr. Calhoon began his legal career at the law firm of Levine, Steinberg, Miller & Huver in 2005 where he worked throughout law school and as an attorney following graduation. In 2011, he continued his practice at the Law Offices of Craig A. Miller where he worked on insurance, elder abuse, and ERISA matters until the formation of Miller & Calhoon. He now uses the more than 10 years of training and the experience he gained from working with some of the finest insurance bad faith attorneys in California to represent his clients with great success. Excellence and the Jefferson Medal in Legal Reasoning, Research, & Writing II. – Policy Limits Demands- Early Settlement or Excess Verdict, Consumer Attorneys of San Diego, December 2017. Amor Ministries v. Century Surety Co.
Doe Plaintiff v. Roe Insurance Co.
City of Carlsbad v. ISOP and Allianz Insurance Co.
City of San Diego v. Lexington Insurance Co.
Majors v. Western Home Insurance Co.